Swing traders huddle up! 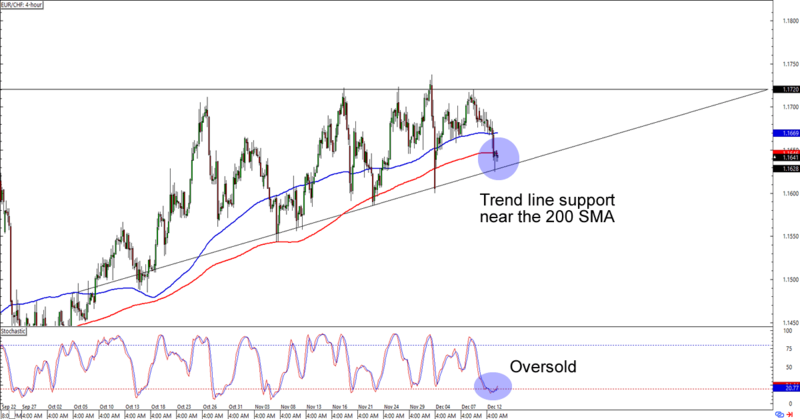 I’ve got a trend play on GBP/USD and a possible triangle support setup on EUR/CHF that you wouldn’t want to miss. Check ’em and see if you can make pips from these 4-hour charts! Cable is having trouble breaking below the 1.3315 area, which isn’t surprising since the level lines up nicely with a rising channel support on the 4-hour time frame. What’s more, it’s also an area of interest from as early as the September! The cherry on top of this sweet setup is an oversold stochastic signal. But will these lead to continuation of GBP/USD’s uptrend? Buying at the earliest signs of bullish momentum could get you a good reward-to-risk ratio especially if you place your stops just below the channel and aim for the previous highs near 1.3600. If you’re no fan of the British pound, though, then you could also wait for a clean break below the 200 SMA before you gun for the previous lows below 1.3100. Just make sure you’re not trading a fakeout, aight? I spy with my cool, bedroom eyes an ascending triangle in the making! As you can see, EUR/CHF is lollygagging around the 1.1650 MiPs, which is right smack at a rising trend line support AND the 200 SMA on the 4-hour time frame. With stochastic chillin’ like a villain on oversold territory, you can bet your Litecoins that euro bulls are already watching this one. If you decide to buy the euro, then you best do it at around current levels before it pops up to retest the triangle support near 1.1720. If you’d like to be more sure of the breakout, though, then you could also wait for a break above the triangle before you make any long trades. 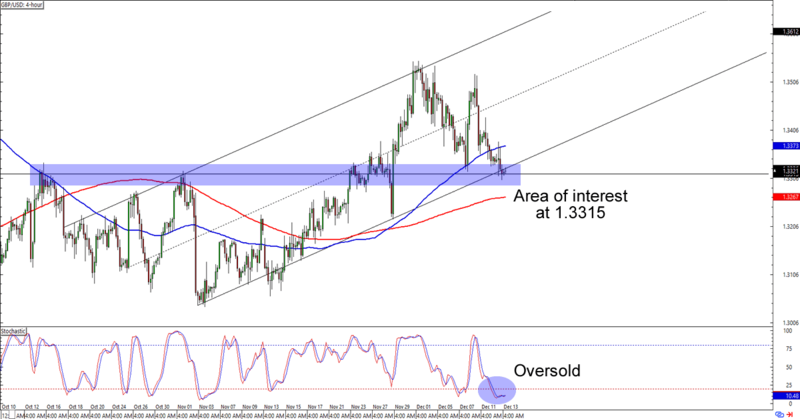 But if you’re not impressed with the common currency and would rather short it, then you could also wait for a break below the support levels that we’re watching and aim for the support area near 1.1500 – 1.1550. Whichever bias you choose to trade, make sure you practice good risk management decisions when you execute your trading plans, mmmkay?